Heart disease is one of the leading causes of death in the United States. So it makes perfect sense that it is a major health concern for most people. But you also need to be concerned about the health of your thyroid, a hormone secreting gland that affects every organ in your body, particularly the heart and the way it beats. Your thyroid, located in the lower front part of the neck, plays a major role in the metabolism, growth and maturation of your body. For example, the hormones your thyroid secretes control whether you gain or lose weight. “It helps to regulate many body functions by constantly releasing a steady amount of hormones into the bloodstream,” according to the National Institutes of Health (NIH). In other words, your thyroid needs to release the right balance of hormones - not too little and not too much. An estimated 20 million Americans have some form of thyroid disease, and 60 percent of people with thyroid disease don’t even know that they have it. On top of this, the causes of thyroid problems are largely unknown (some evidence suggests it may be genetic). And if you have thyroid disease, your thyroid may produce too few (hypothyroidism) or too many (hyperthyroidism) hormones. We previously discussed how to be proactive about a common cause of hypothyroidism, Hashimoto’s disease. An underactive thyroid may cause a person to have a slower heart rate, a rise in cholesterol, an increase in fluid around the heart and heart failure. And recently, Graves’ disease, a type of hyperthyroidism, became a popular topic of discussion after talk show host Wendy Williams opened up about her nearly 20 year battle with this condition. According to the American Thyroid Association (ATA), Graves’ disease is the most common cause of hyperthyroidism in the United States. Reportedly, it affects 1 in 200 people. The disease was named after an Irish doctor named Robert Graves, who was responsible for describing this particular form of hyperthyroidism more than 100 years ago. An overactive thyroid may cause sudden weight loss, irregular or rapid heartbeat, sweating, nervousness and irritability. “I had a storm going in my body is the best way I can explain it,” said Williams, early this week after returning from a three week medical leave from her show. (You may recall that Williams fainted due to dehydration, on-air this past October during a taping of a Halloween special for her show). Both Graves’ and Hashimoto’s disease are examples of autoimmune disorders which affect your thyroid. (Autoimmune diseases occur when your body attacks healthy cells). If you have an overactive or underactive thyroid, you may develop a goiter (an enlarged thyroid). And these conditions are complicated by the fact that their symptoms may often be mistaken for other health issues. For example, some of the symptoms of Graves’ disease include increased sweating and intolerance to heat, changes in menstrual cycle and difficulty sleeping, but 53-year-old Williams simply chalked these symptoms up to going through menopause. “With the menopause, I wasn’t pointing a finger to any particular thing. I was just feeling like ‘All right, well I’m 53 and this is I guess how it’s supposed to be,'” said Williams. Some suggestions to be proactive about thyroid health? I know this is easier said than done, but being stressed out may cause an overactive thyroid. You can reduce stress by exercising and listening to music. Your body uses iodine to make thyroid hormones. “However, people with Hashimoto’s disease or other types of autoimmune thyroid disorders may be sensitive to harmful side effects from iodine. Eating foods that have large amounts of iodine—such as kelp, dulse, or other kinds of seaweed—may cause or worsen hypothyroidism. Taking iodine supplements can have the same effect,” reports the National Institutes of Health (NIH). For diet tips regarding hypothyroidism, click here. And some reports suggest hat hyperthyroidism may make it difficult for your body to absorb calcium. So making sure you are getting enough calcium is important if you have Graves’ disease or any type of hyperthyroidism. 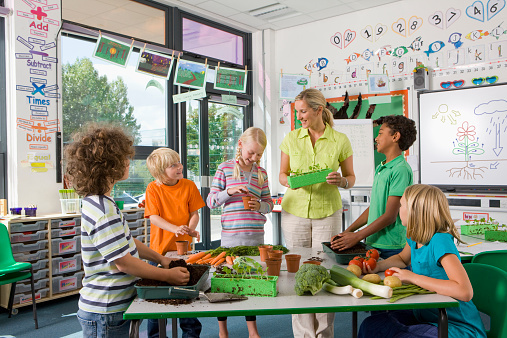 To see dietary sources of calcium other than dairy foods, click here. Because it helps your body absorb calcium, vitamin D is another nutrient which may be important for people trying to manage Graves’ disease. Vitamin D is made by the body when the skin is exposed to ultraviolet rays from the sunlight. There are not many foods in nature that naturally contain this vitamin. A deficiency of vitamin D is a pretty common nutrient imbalance, especially in people who live in climates with less sun. Read here to learn about how you can be proactive about making sure you are getting enough vitamin D.
Magnesium is another nutrient that may affect the way your body absorbs calcium. 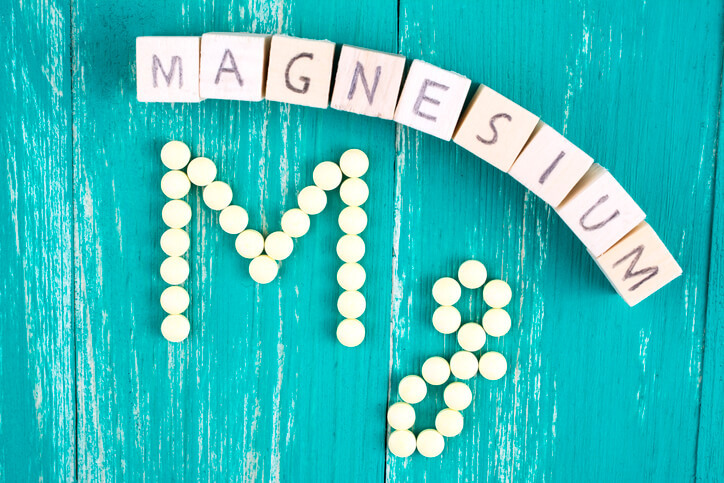 A magnesium deficiency may also make symptoms of Graves’ disease worse. Foods that contain magnesium include leafy green vegetables (like spinach), legumes, nuts, seeds and whole grains. And a deficiency in the mineral selenium may also worsen symptoms of Graves’, specifically eye disease that can occur from having Graves’. Brazil nuts and oysters have a high selenium content. You can also get selenium in sunflower seeds, mushrooms and brown rice. If you have Graves’, Hashimoto’s or any other type of thyroid issue, speak with a competent healthcare professional about your diet. Ask them for a comprehensive nutrient test. This test will determine if you have any nutrient imbalances or deficiencies. And if you can pinpoint these, you can develop a plan of attack to get your body nutritionally balanced. You may have to do this through tweaks to your diet, supplementation or both. 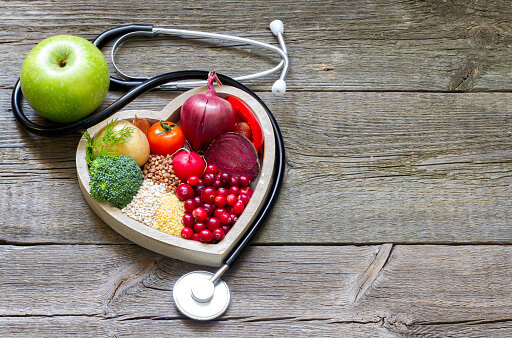 Being nutritionally balanced may help you better manage any health conditions you may already have and help prevent other illnesses.